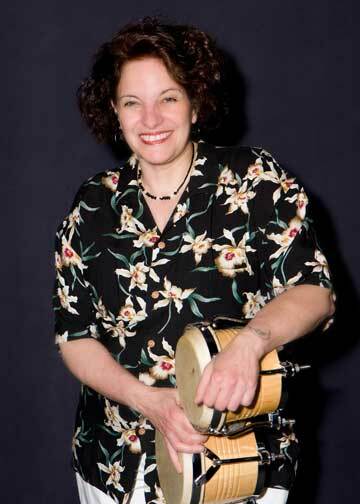 Rooted in the rhythms of her native Cuba Nydia “Liberty” Mata is a dynamic percussionist and electrifying performer, best known for her recording credits with Laura Nyro, Isis, and Latin Fever. Percussionist extraordinaire who has most recently added the magic of the Steel Pan to expand her rich tapestry of sound has appeared at Concert Halls and Universities throughout Canada, South America, and the USA including; Carnegie Hall, Town Hall, Nassau Coliseum, The Beacon Theater, The Bottom Line, and the Palace of Fine Arts at the San Francisco World Drum Festival. Last but not least her performance credits also include such legends as Dizzy Gillespie, Patti Labelle, Art Blakey, And Pete Seeger, as well as playing for former President Bill Clinton.